What’ll it be then? 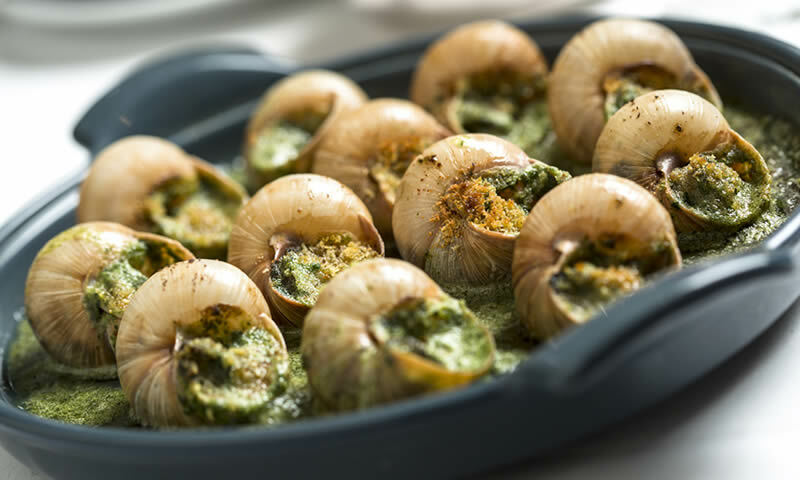 Snails cooked in garlic butter? Coq au vin? Or a straight up steak frites? Time to revisit a few classic French dishes – and see where good interpretations of them can be found this side of the Channel. Ah, Zedel. London-dwelling Francophiles have had it on their list of favourite dejeuner spots for a while now. So they should, as it’s one of the few places you’ll find just about every traditional French dish imaginable, all done well and far from expensively. One example? The boeuf bourguignon, in all its treacly £15 glory. Don’t let the name fool you ­– rather than dishing out Buck’s Fizz in plastic glasses and sandwiches without the crusts, Pique-Nique is among London’s best places for true-to-its-roots French cuisine. Even if it is in the middle of a public park. Go for their croque-monsieur and you’ll see there’s a reason why it ain’t just called a cheese and ham toastie. Steak and chips: usually a good sign your dinner choices are lacking a little imagination. Though go for the French interpretation – translated as ‘rib of beef – and when it’s done as well as it is at Chez Bruce, no one’s judging. This one comes with hand-cut chips, roast shallots and Béarnaise sauce. Sometimes we fall for words on menus a little out of the ordinary – monk’s beard, hispi cabbage, vegan guac seitan burgers. Sometimes, we don’t. L’Escargot is for the latter – a Soho institution that knows full well the best things in life are often the time-tested. Order their eponymous dish, cooked in garlic and parsley sauce, and you may find yourself making beelines for French peasant food over any newfangled dish. L’auberge in Putney is where unfussy cooking happens just as it does dans le French countryside. Duck confit is a bit of a nightmare for even the slightly lethargic of home cooks. Thanks to a few establishments ­though – such as L’auberge – they needn’t bother at all. Otto’s came to life on Gray’s Inn Road a few years ago and, as you must’ve heard by now, serves diners a whole roast duck as the main attraction. Be that as it may, other items on the menu deserve more of the limelight than they get. Such as the twice-baked cheese soufflé, a classic that these days so often otherwise misses the mark. Foie gras hamburgers? Gruyere cheese puffs? Croque madame? 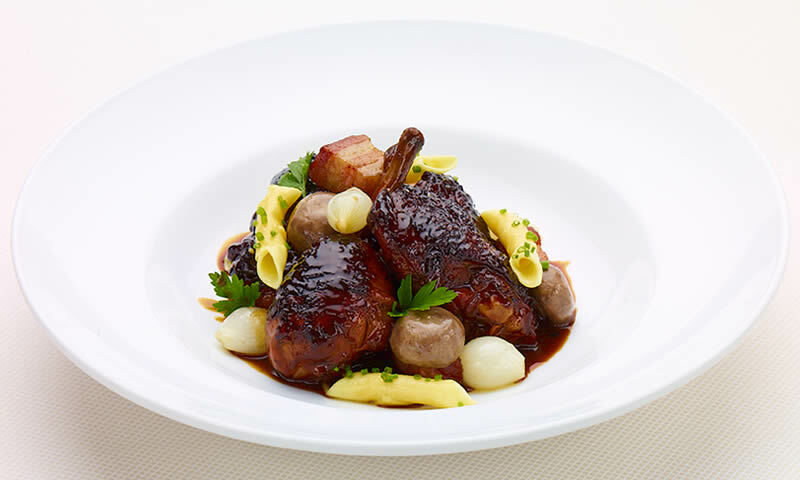 Bar Boulud is where the well-to-do go to get their taste of comfort food and French classics taken none too seriously. Their coq au vin is one of the many highlights, served with a pea fricassee, pearl onions and chicken jus. A rather distant relative of the beef burger, steak tartare (in its better-known raw egg yolk variation), has been on the menus of French restaurants since the early 1900s. There’s a reason it’s still around. 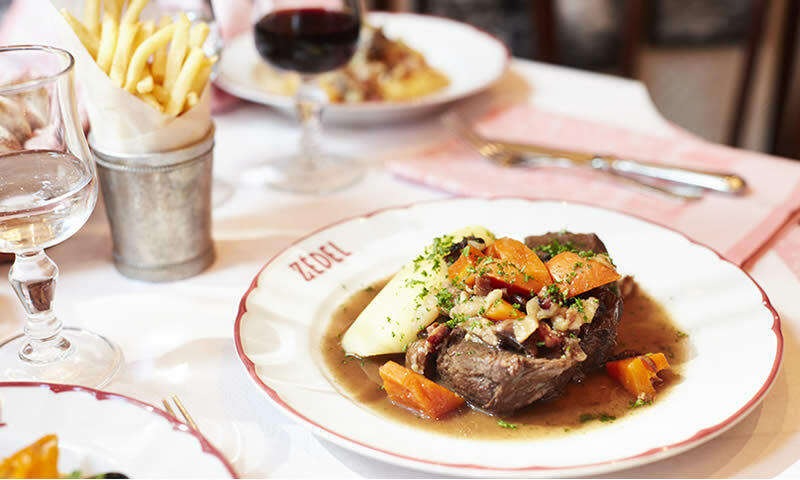 Generally, French brasseries are now where you’ll find it in its purest form, though the one coming out of Balthazar’s kitchen in Covent Garden is a fine specimen in itself. and don’t forget Denise’s French restaurant in Southampton Row….Frogs’ legs, escargots, Tornedos Rossini…..mouthwatering Sole Meuniere…..lovely bistro style restaurant with great Maitre d’, Tony. anyone know where I can get mustard rabbit? Hi Hazel, I believe it’s on the menu at The Bleeding Heart Bistro and at Brasserie Zedel every Saturday! Papa chef is a really good French food takeaway in West London!! !